The State Fair of Texas hosts the launch of the 4Runner Nightshade, Tacoma SX, and Tundra SX. Toyota uses the State Fair of Texas as an opportunity to unveil three special edition trucks and SUVs. They add a little more panache to the existing models. The 4Runner Nightshade uses the range-topping Limited trim as a starting point, and Toyota adds black accents to the front and rear bumpers, mirror caps, window trim, side sills, roof rails, and badges. The grille features a dark chrome finish, and the SUV rides on 20-inch black wheels. The body is available in Midnight Black Metallic, Magnetic Gray Metallic, and Blizzard Pearl. Moving into the cabin, Toyota's designers continue the dark aesthetic by adding black trim to the steering wheel, center stack, console, shift knob, and door grips. If this shadowy look appeals to your style, then the Nightshade edition adds $1,740 to the Limited grade's $43,225 base price (plus $1,045 for delivery). Pickup fans can check out the Tundra SX. 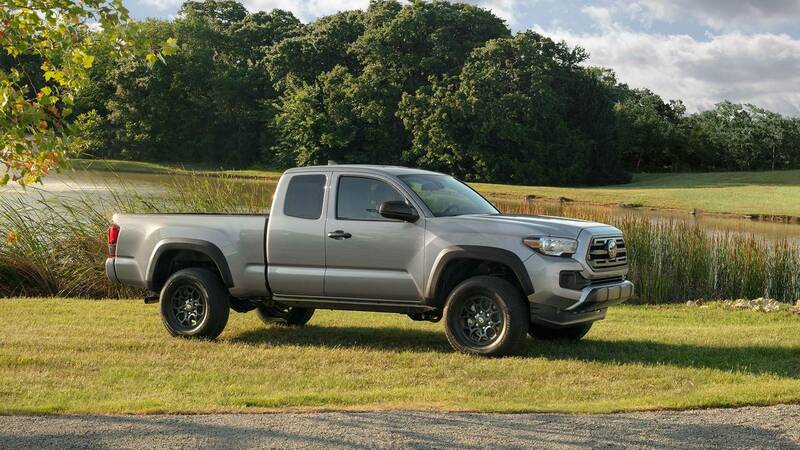 Based on the mid-range SR5 trim with the Double Cab body and 381-hp 5.7-liter, Toyota removes all the badges and paints the grille surround, front bumper end caps, and rear bumper in the body color. The package also includes 18-inch wheels. Inside, bucket seats in front replace the standard bench. The SX adds $1,630 to the base price of $34,490 for a Tacoma SR5 Double Cab with the 5.7-liter V8. Finally, midsize truck customers can get a version of the SX package on the Tacoma. It starts with the base SR trim and adds black badges, fender trim, mirror caps, grille, door handles, and headlight accents. The pickup rides on 16-inch matte black wheels. These dark revisions add just $560 to the Tacoma SR's $25,550 base price. DALLAS (Sept. 27, 2018) Making its presence felt in its new home state, Toyota announced exciting news today at the State Fair of Texas media day with the addition of three new options for 2019: 4Runner Nightshade Special Edition, Tacoma SX Package and Tundra SX Package. Each new offering provides a heavy dose of style that aims to be light on the wallet. 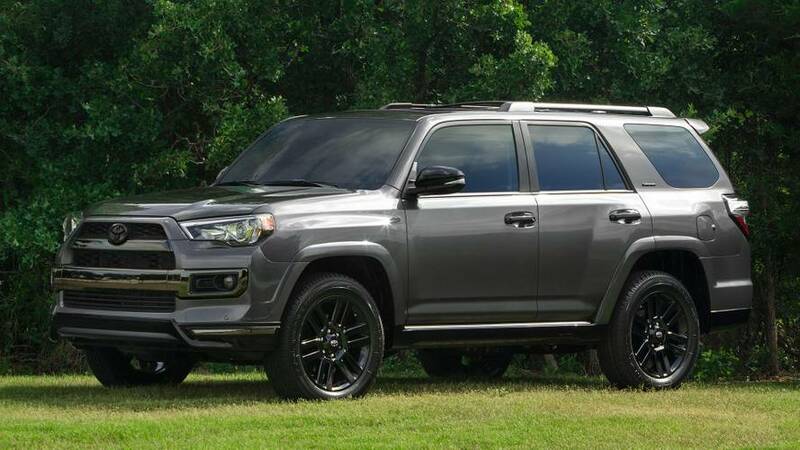 The 4Runner Nightshade Special Edition adds mystique to the Limited grade on which it’s based with stylish upgrades that make it unique among its peers. Black accents are added to give Nightshade its own vibe: front and rear bumper spoilers, outer mirrors and door handles, window moldings, rocker panels, door garnish, roof rails and badging. Up front, black chrome moldings are fitted on the grille slots and, in back, the exhaust tip gets the black treatment as well. Black 20-inch wheels help complete the sleek exterior. Inside, black interior trim features include the steering wheel, center cluster and console panels, shift knob and shifter panel, and inner door grips. 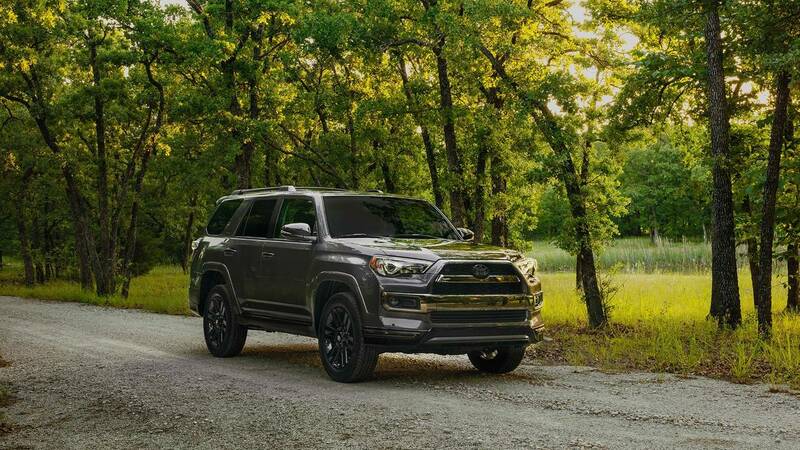 The 4Runner Nightshade Special Edition is available in Limited 4x2 or 4x4 models and carries a manufacturer’s suggested retail price of $1,740 in addition to the base vehicle MSRP. It is available at dealerships now in select colors: Midnight Black Metallic, Magnetic Gray Metallic and Blizzard Pearl. First and foremost, Tundra owners pride themselves on being just as tough as their trucks, but there’s no question that personalization is a very close second place. Available on the SR5 grade Double Cab in 4x2 or 4x4 and powered by the 5.7-liter i-FORCE V8 engine, the SX Package provides a lustrous combo that’s clean, fresh, and of course, tough. Relying on a selection of color-keyed accents and blacked-out wheels, SX combines thoughtful upgrades to create what may be the cleanest Tundra to date. The exterior of the truck is streamlined with the removal of all exterior badging. Next, color-keyed front grille surrounds, front bumper end caps and a rear bumper are added for a uniform appearance. Front bucket seats are upgraded for added comfort, and 18-inch black alloy wheels add a nice finishing touch. 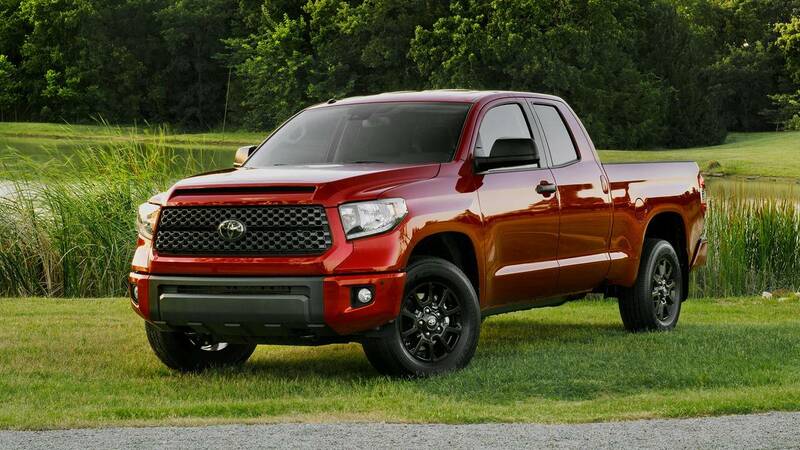 The Tundra SX Package is available in dealerships now with an MSRP of $1,630 on SR5 Tundra grades. It is available in colors Super White, Midnight Black Metallic, and Barcelona Red Metallic. For 2019, the Tacoma is offered in an impressive 32 different versions, and the new SX Package only adds to that variety with a black-out theme that doesn’t come with a hefty price tag. The SX Package is based on the Tacoma SR grade and is available on 4x2s and 4x4s. The SX gets black-out treatment on high-visibility parts such as the badging, overfenders, mirror caps, grille, door handles and headlamps. It also gets the addition of 16-inch matte black alloy wheels. The SX Package offers cool customization but keeps things within budget at an MSRP of $560. It is available on six different colors that include Super White, Silver Metallic, Magnetic Gray Metallic, Midnight Black Metallic, Barcelona Red and Quicksand.